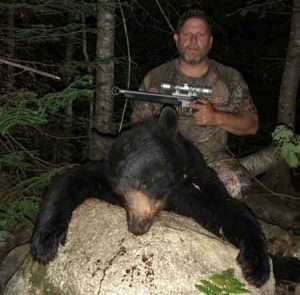 We offer 3 weeks of fall baited black bear hunting in the Mt. Katahdin area. We also offer bear trapping packages utilizing our pre-baited bait sites. We believe the quality in preparation for these hunts sets us apart from other outfitters. Each bait site is pre-baited 30 days before the season opens. We routinely check and freshen our bait sites. We also monitor our bait sites with trail camera surveillance. 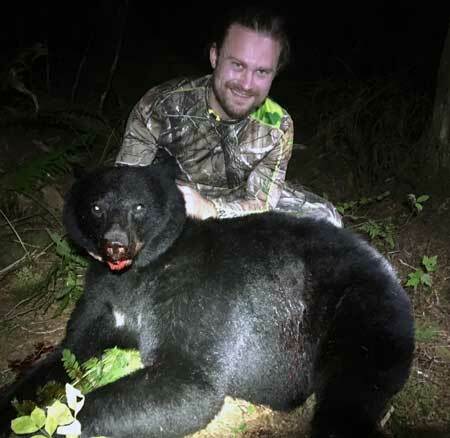 Each bear hunter is provided with two pre-baited stand sites, set up using a comfortable ladder treestand or ground blind. Our hunters may use the weapon of their choice, such as rifle, archery, muzzleloader, crossbow, or handgun. Upon arrival on Sunday, guide will accompany clients to the shooting range for a final sight-in check. 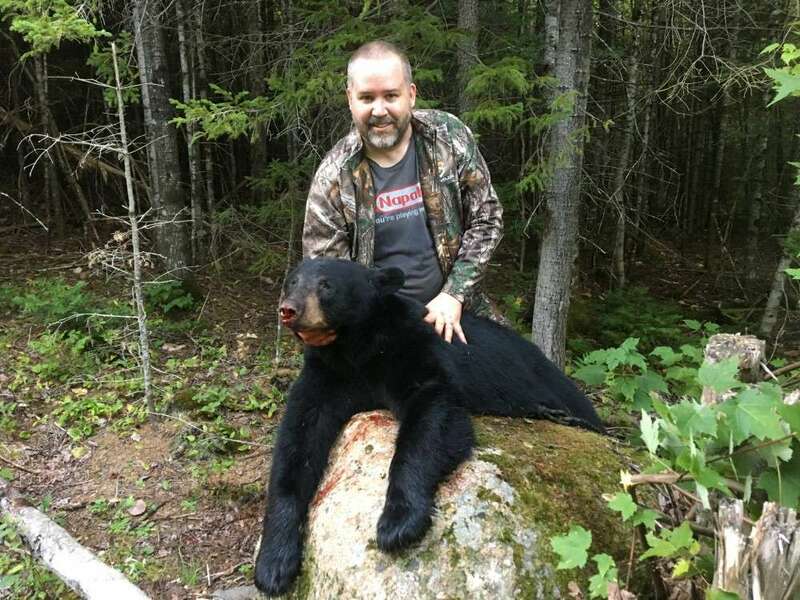 Lodging and meals for our bear hunts are provided on Millinocket Lake at the New England Outdoor Center – Twin Pines Cabins. Lodging and meals are included in hunt package rates. Bear are processed at a local butcher. Bear are delivered to butcher by guide. Local taxidermy services are available. Hunting and/or Trapping License and Bear Permit. For hunting license information please visit the Maine Inland Fisheries & Wildlife’s website.